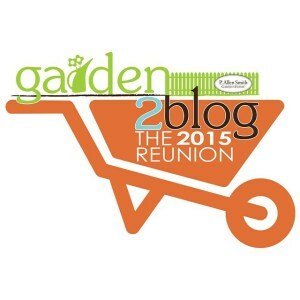 I just came upon your blog via Fine Gardening – oh, what a treat! A bit late for Spring bulbs, of course….but….come Autumn…..I see Honeymoon and Mt Hood in my garden’s future! What a beautiful part of your collection. I grew daffodils but couldn’t grow tulips in New Hampshire because of critters. Sorry to hear that you had bad weather for your opening market…hope it is better next week. We went to a market in the next town over this past Saturday and I bought just picked heirloom tomatoes among other things, they were so good. The second market was brutal…38 with heavy winds…chilled to the core by 10 AM. We had another 28F morning on Sunday…hopefully our last. Local orchards have lost entire peach/apple crops, as Mother Nature was in a foul mood this month. Damage done, now all we can do is recover the best that we can. Peonies and daffs appear unscathed. Mother Nature has not been very kind so far this spring, that’s terrible about the losses. The apples and pears in our orchard didn’t bloom until around Mother’s day each year. Luckily most of the killing frosts were over by then. What an interesting collection. I grow Thalia too and it is a great stunning flower. If you can get them try some of the cyclamineus hybrids. I don’t know what your un-named miniature is, but it is very pretty. Chris, I am working on the identity of all my daffs, and it appears some that I ordered last fall are imposters…hmmm. I will look for your suggestion. 28F here this AM so leaves of my maples, hostas, bleeding hearts, and many other specimens are wilted like cooked lettuce. The jury is still out on how the heirloom peonies were affected. More 20’s coming by the end of the week. Fruit growers are busy with fans in their orchards during the night. Even the vineyard next door hired a helicopter to fly continuously all night over the vines. Mother Nature is testing many of us in the US this year! Delighted to now be receiving your posts in my inbox!! Thank You for posting these entries! I DO believe you’re correct on the name for the Pure White variety. I planted ‘Thalia” into my garden a few short years ago and it looks and performs like your pix. You’ve two pix of the Thalia..one a beautifully quiet portrait, and the other in a blue vase with companions. I’m not sure what the smaller but equally cheerful friends are, but found this source while checking to see if’n they were Barret Browning…which they aren’t, me thinks. PS: Good and comforting to know I’m not the ONLY one who misplaces and forgets names, much to my future dismay!! Thanks for your comments Jesse. I await identification from Brent & Becky’s Bulbs, the supplier here in Virginia. Cheers! Glad that you enjoyed my post Jeanne. Happy to cheer your spring! Tim, Keeping track of names is an awesome task…especially the rescued bulbs…have rescued iris coming again in May, and no name there either. That is why posting photos is often helpful. I too planted a salmon cupped bulb last fall and its name is Chromacolor…you may find yours at http://www.brentandbeckysbulbs.com. Their catalogue is awesome. Thanks! I know Chromacolor is one of them. I do have records somewhere……. Glad to share. Weather crazy here too. Heavy winds, frost, then mild. Your photos have reminded me of how lovely daffodils are, and how often taken for granted. The first photo is divine! I must look out for Thalia, as we are doing autumn bulb planting now. Sorry to hear about the bad weather…poor flowers. Good luck for future marketing days. Enjoy your season! Our spring is crazy wild. Weather is a roller coaster! At least no snow…Cheers!